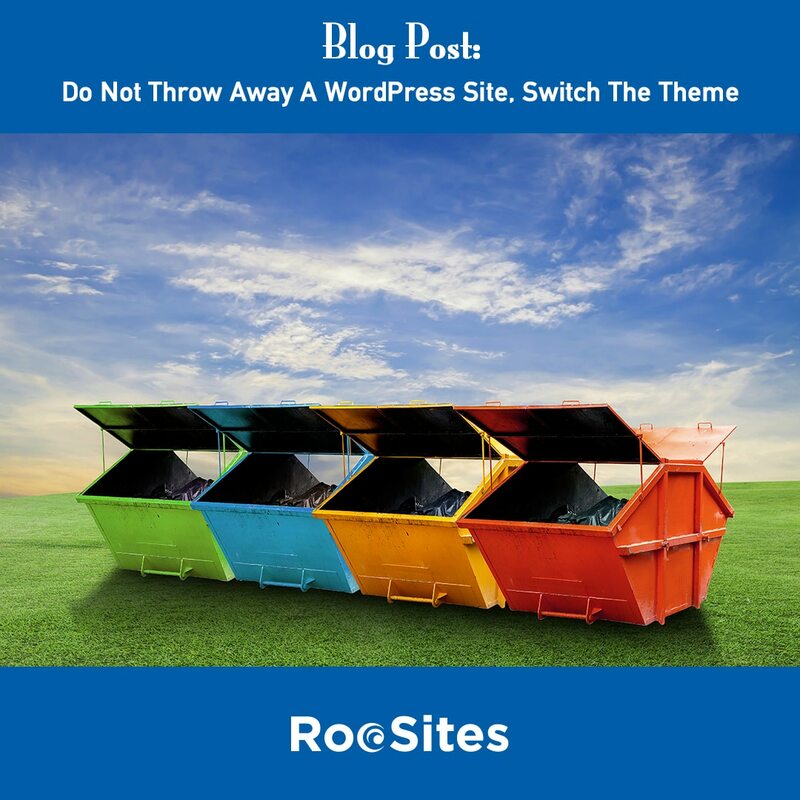 The beauty of using a content management system like WordPress is that you don’t have to throw away the site when you want a new design or if you have an issue. We ran into this recently with a client of several years. We had built them a WordPress site and one of the main reasons was so that we could be nimble and update the site easily. So, in case they wanted to change the interface look or had any issues or new requirements which the old theme couldn’t handle, we’d be ready. Fast-forward a few years, the author of their theme discontinued updating it, and the site would break with the advent of PHP 7.2. So, they were forced to update the theme. The unexpected benefit is that the site now looks modern and fabulous. Their site had started to look a bit dated, as most do after for four or five years. I typically try to use themes from quality authors who keep them up to date. In this case the theme we used was brand-new, and was by a highly rated author. Sadly they dumped all their buyers and just created a new theme to try to force people to buy the new one. I wrote about this in my last blog post, Beware of WordPress Theme Authors Who Abandon Their Work. But back to the point. The beauty of WordPress is you can switch themes and update your site’s look and feel fairly easily and keep your content. That’s right, keep your content if it is still working for you, and performing well with search engines. I typically like to stick with a theme that uses the same page builder if at all possible. In this case we were using a theme that used the WPBakery page builder. What this did is save the client a lot of time and money as a lot of the shortcodes still worked. The nice part about a lot of the modern premium themes is that you can switch your look and feel within those themes (without switching) as they have several design options and drag-and-drop functionality. So in essence you can build so many different kinds of sites that don’t look cookie-cutter. Bottom Line: In this day and age, small business needs to run efficiently and not waste money. So you can’t afford to completely throw away a website every few years. But, you always want to be up to date in terms of your website’s display, security as well as functionality. In the case I mentioned PHP 7.2 was a big improvement within the programming language. The sites are far more secure and the performance is much better. 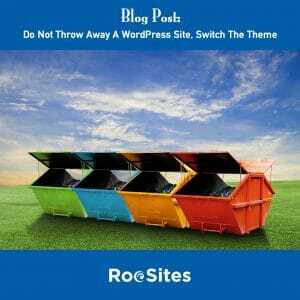 So, as we said in the title do not throw away that WordPress site, update the theme. And as always, if you need help, contact RooSites, we are happy to assist.